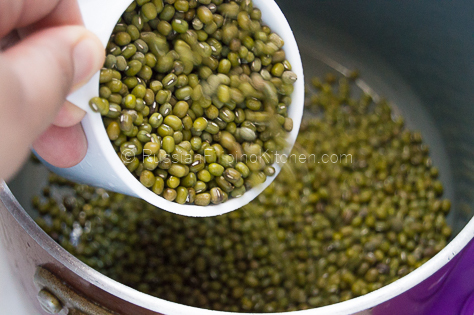 Mung beans or munggo in Tagalog are important source of protein in Filipinos’ diet. 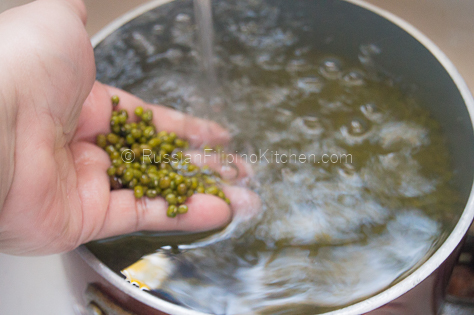 In order to cook a dish with mung beans, it needs to be prepared first—by boiling, until they’re soft and split open. 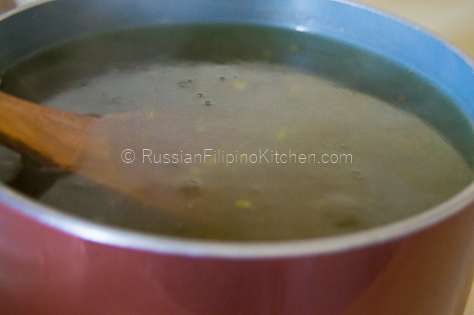 A Filipino dish like “ginisang munggos” requires pre-boiled mung beans. A famous pastry dessert in the Philippines known as “hopiang munggo” needs cooked, mashed mung beans. My personal favorite “monggo ice candy” can’t be made without pre-cooked mung beans. So it’s very important to learn how to cook or boil these tiny, green beans in preparation for other mouth-watering dishes. Here’s how. 1. 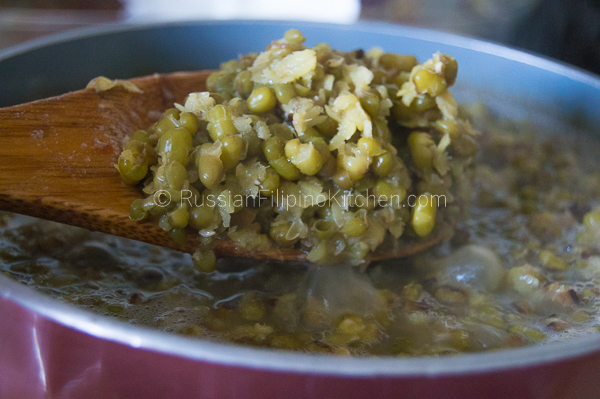 In a large cooking pot, add 2 cups of dry mung beans. Remove any beans that looked withered and other impurities you see. Sometimes small pebbles get mixed with the beans during harvesting as well, so make sure you get rid of them. 2. Rinse the beans under cold, running water. Drain. 3. Add 7 cups of water into the pot. 4. Set stove dial to high and bring pot to a boil, uncovered. 5. Lower heat to medium low and simmer for 45 minutes to an hour, stirring occasionally. You’ll know it’s done when most of the water has dried up and the beans look puffy. Remove from heat and set aside to cool down. 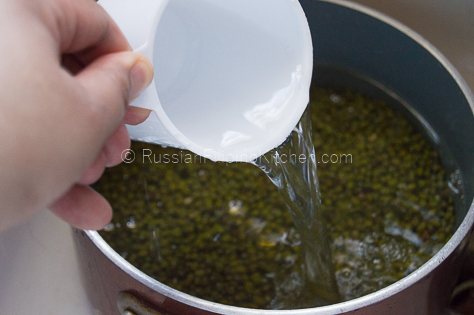 In a large cooking pot, add 2 cups of dry mung beans. Remove any beans that looked withered and other impurities you see. Sometimes small pebbles get mixed with the beans during harvesting as well, so make sure you get rid of them. Rinse the beans under cold, running water. Drain. Add 7 cups of water into the pot. Set stove dial to high and bring pot to a boil uncovered. Lower heat to medium low and simmer for 45 minutes to an hour uncovered stirring occasionally. You’ll know it’s done when most of the water has dried up and the beans look puffy. Remove from heat and set aside to cool down.